In most cases, a century provides a round, nostalgic number. It is an arbitrary marker, offering a chance for living generations to contemplate a past beyond their firsthand comprehension. 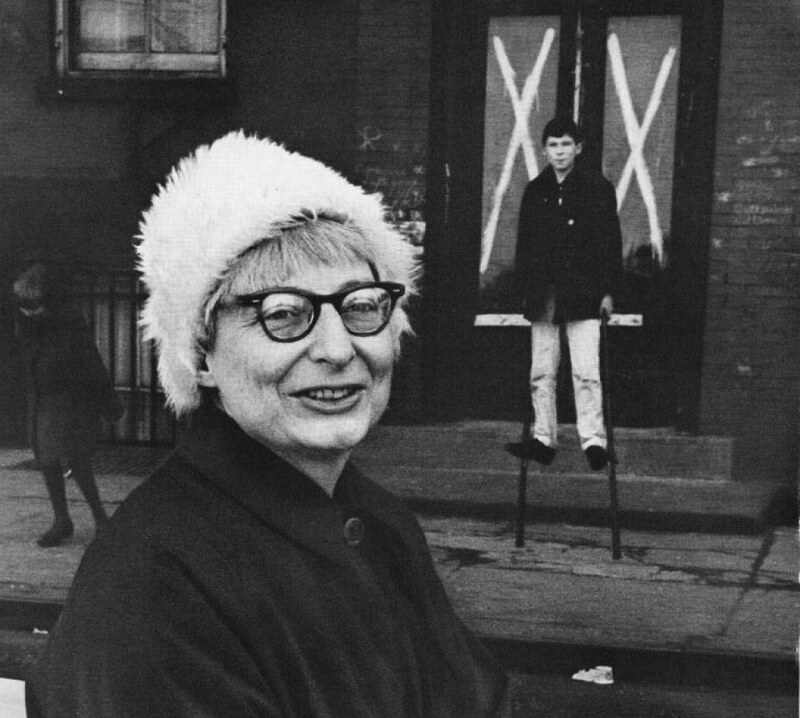 A century is not just a convenient marker for remembering Jane Jacobs. It is a crucial interval for appreciating the world she grew up in, the urban devastation she witnessed, the forces she fought against, and the future she hoped for. Even as the planning profession has roundly embraced Jacobs’s ideas, the resurrection of the American city remains a work in progress. This is not your grandmother’s city. But it may yet be. Though Jacobs passed away 10 years ago and published her masterpiece, The Death and Life of Great American Cities, in 1961, urbanists do not celebrate her for some distant, reverenced work. Contemporary movements such as smart growth, pedestrianism, public transit, New Urbanism, tactical urbanism, and the Millennial sunburst of enthusiasm for urban living all hearken back to Jacobs. Even so, the historical moment that gave rise to Jacobs is still happening, with the momentum of a nuclear meltdown still spitting out radiation, half-life after half-life. "Orthodox modernist city planning...refuses to die,” said Robert A.M. Stern, dean of the Yale School of Architecture. "She did a very good job of trying to kill it, by turning attention back to city streets and the people who inhabit them." When suburbs were swelling and freeways were tearing through cities in the mid-20th century, few planners or architects recognized, or cared, that cities were dying. Planners followed the European model of Le Corbusier and the International Congress of Modern Architecture (CIAM), which advocated the demolition of neighborhoods and the erection of sterile towers and pointless open spaces. In the United States, this program evolved into highways, tract housing, and “urban renewal.” Jacobs celebrated life, not objects. She was eloquent, rebellious, endearing, and superficially unassuming—in part because she was a woman in a field that was, and remains, dominated by men. A tenacious activist, Jacobs not only lived her ideals but actually prevailed, staring down New York City’s infrastructure czar Robert Moses and saving Greenwich Village from the proposed Lower Manhattan Expressway. Jacobs arrived at her radicalism by looking backwards—and looking around. She uncovered the great things about cities that had been known, if not fully articulated, for millennia. She contended that “scientific” modernist planning and design was little more than a rationalization to justify the enshrinement of (white, male) egotism in the landscape. Jacobs was the real scientist, using powers of observation and deduction to describe what she saw as the natural environment in which urban humans thrived. “Her only qualifications were her eyes and her social conscience, and she started telling people there is a horrendous gap between your forms and your social ideals,” said architect Stefanos Polyzoides, a co-founder of the Congress for the New Urbanism. “The architectural profession was dominated by this idea that modern is good and everything else is rotten." (Jacobs had at least one major like-minded contemporary in sociologist William H. Whyte. Otherwise, Jacobs dominates planning like few have dominated any field. In 2009 the urban planning website Planetizen.com conducted an unscientific poll of history's 100 "greatest urban thinkers.” Out of 14,000 votes, Jacobs took the top spot with five times as many votes as the runner-up, New Urbanist Andrés Duany.) It’s almost impossible to point to specific examples of Jacobs’s influence. If anything, Jacobs signifies negation: the absence of a superblock, the highway that was never built. Or she embodies the ephemeral: the evening stroll, the chance encounter, the purchase of a bagel and coffee. “She was really about ways to experience a city rather than what a city was supposed to look like,” said Richard Sennett, professor of sociology at the London School of Economics, who knew Jacobs in her heyday. Today, it is the rare urban designer who gets to develop a city, or even a neighborhood, from scratch. In mature cities, change happens over the course of decades. By working at the level of the discrete parcel or building—for better or worse—and on projects that typically take mere years architects, rather than planners, face more ample and direct opportunities to realize Jacobs’s lessons. Fifty-five years later, architects are still debating what those lessons are. Short of Lou Reed, perhaps no one is more closely associated with Greenwich Village than Jacobs is. She is often assumed to be both a preservationist and a historicist, forever promoting bricks and brownstones—likely an unexciting prospect for contemporary designers in pursuit of the new. "Because she defended the Village…by extension she defended the historicity of the city,” said Polyzoides. Jacobs did not, however, explicitly promote a certain architectural style. By embracing diversity, she avoided the fate of her modernist nemeses. "She’s against singularity and for diversity, diversity of all kinds: economic, social, physical,” said Polyzoides. "In that sense she might be very pleased with a modern or contemporary building in a traditional street." While Jacobs may have been agnostic about how a building looks, she was anything but when it came to how it relates to its surroundings. Jacobs makes architects think about all the elements of cities that aren’t buildings. Lorcan O’Herlihy, founding principal of Los Angeles-based Lorcan O’Herlihy Architects, said that this perspective compels architects to pay attention to how buildings relate to street life and with surrounding buildings. 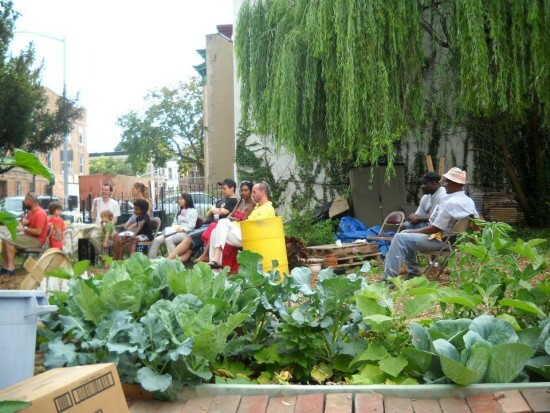 His design process includes literal interaction: extensive community dialog through which he tries to understand a project’s role in the human environment. While non-residents may never enter a building, its influence still extends, for better or worse, beyond the property line. "It’s not only about buildings, but it’s also about engaging edges,” said O’Herlihy. "That is something that is missing in an urban context when you turn your back to the sidewalk and street." That approach calls for a level of creativity that is often considered lacking in American modern design, which Stern calls "a corporate version of the International Style." Jacobs offers an alternative. She gives architects the opportunity—perhaps even the obligation—to perceive and respond to neighborhoods as they are and not to impose placeless design theories on them. "Jacobs revered the city as the preeminent site of choice and possibility and she saw architecture’s duty as enabling, not domineering,” said Michael Sorkin, principal of New York-based Michael Sorkin Studio and author of Twenty Minutes in Manhattan. "Her gift to designers was the rejection of fixed formulas in favor of an ever-unfolding dialectic of form and life." Just as Jacobs celebrated city life, so might Jacobs-inspired designs be capable of living many lives. "The best way to honor her would actually be…systems of building that are accretive rather than rupturing,” said Richard Sennett, author and Distinguished Visiting Scholar at Cambridge University' sociology department. Sennett cited Chilean architect Alejandro Aravena, who designs buildings with the intention that they will be altered and added to in time. For all of Jacobs’s focus on the “human scale” of 20th century cities, 21st century cities may be developing at a scale that makes Jacobs seem, if not precious, then at least inadequate. Jacobs has often drawn criticism for not directly addressing social issues such as segregation and poverty, instead referring to them under the broad mantle of diversity. But contemporary mega-cities in the developing world are growing at unprecedented rates. Lagos, Mumbai, Jakarta, and the like, make New York City look like a sleepy hamlet. In these cities, swelling with urban poor, the “sidewalk ballet” isn’t the most pressing issue. 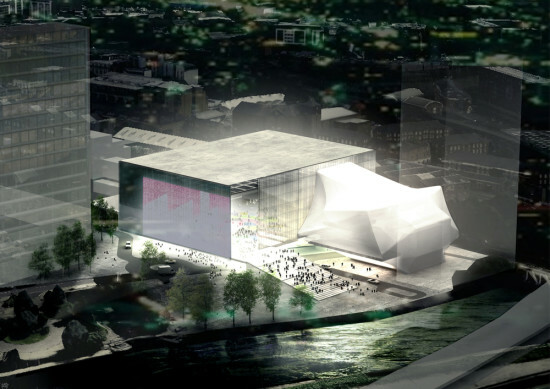 “Of course they’re relevant today, but they’re not the macro problems,” said Thom Mayne, principal of Morphosis. Jacobs’s attention to the street and the neighborhood “doesn’t have anything to do with the 50 percent of the world that ends up in these urban configurations." Then again, Saskia Sassen, professor of sociology at Columbia University, suggests that debates over city form and urban details obscure Jacobs’s broader contributions about urban economics. Jacobs’s 1969 Economy of Cities contends that macro-scale productivity, and indeed the capitalist ideal itself, depends on the aggregate of activities that take place on blocks and in neighborhoods. "Jacobs shows the city as an economic machine, a machine that can process all kinds of elements that are often coming from non-urban settings,” said Sassen. “[In] a suburb or a private, gated corporate office park, you have density, but you don’t have a city." Debating Jacobs’s relevance presents a thorny challenge. In many circles, she has gained as much influence, intellectually at least, as her Modernist counterparts ever did. Nonetheless, the environments that they built still endure. Appealing as they are, Jacobs’s theories remain largely untested even as, 55 years later, no one has arisen to substantially oppose or eclipse her. “The longevity of her influence is attributable to the fact she spoke all the truth in a straightforward way,” said Stern. "The profession of planning and architecture has not yet caught up with her wisdom because it is still object-fixated and open-space fixated.” If any century promises to be the Jane Jacobs Century, then, it may not be the past one: in which she spent 84 of her 90 years, wrote seminal texts, and took a wrecking ball to modernism. That may have been prelude. Rather, the Jane Jacobs Century promises to be the current one: in which the urban world from which she departed may—slowly—become more like the one into which she was born. VIB Architecture has constructed a mixed-use program of student housing and a nursery along a narrow site in a busy neighborhood in Paris. 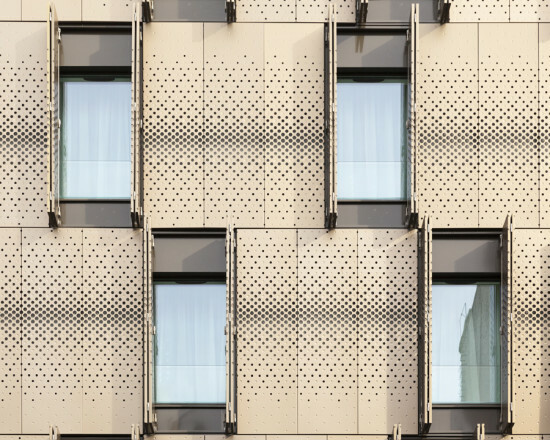 In a Parisian neighborhood known for its pedestrian-scale passages and small alleys, VIB Architecture has constructed a mixed-use project skillfully incorporating student housing and a nursery program into a complex of several new construction and renovated properties. The project is located in Belleville, a historically working class neighborhood with strong arts community and a heterogeneous mix of architectural scales arranged along a hilly topography. This latest addition to the neighborhood adds to the mix by combining contextual strategies with a bold contemporary material palette and massing scheme. The project is generally organized around two 8-story buildings that are bisected by an exterior passageway that leads to a courtyard space. Apartments are located along the active street front, protecting a rear sunny courtyard, lined with smaller scale buildings, for use by the nursery. An existing building links the two programs. Question: What has three Arcs de Triomphe, an Eiffel Tower, an Egyptian Sphynx, a Louvre, London Bridge and ten White Houses all over? The answer: China, of course. If the Chinese government has its way, that will soon change. 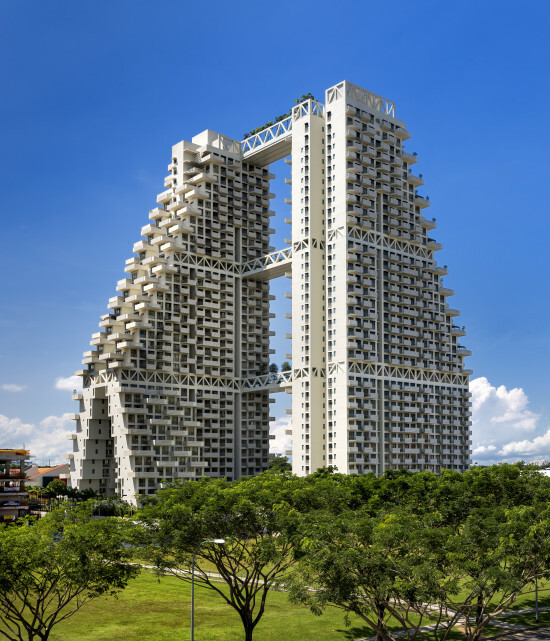 The duplicate architectural icons may end there as the country's authorities have said no to anymore "oversized, xenocentric, weird" architecture, The New York Times reports. The State Council and the Communist Party’s Central Committee last week stated that there is to essentially be no more copycat architecture, and instead urged new builds to be “suitable, economic, green and pleasing to the eye.” The directive also stipulated that "the chaotic propagation of grandiose, West-worshipping, weird architecture" should be ended, while gated communities have also been vetoed. 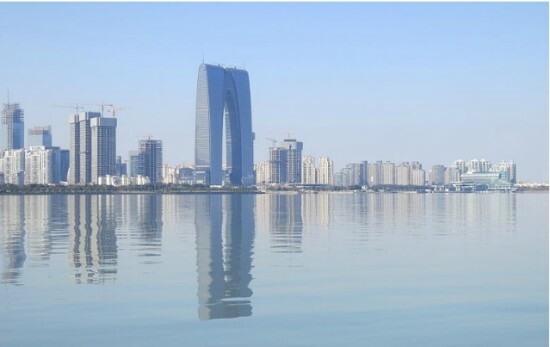 Guidelines arose after meetings discussed issues regarding the alarming rate of urbanization that China is undergoing. Just two years ago, President Xi Jinping expressed his views on China's architectural scene, again deeming it "weird" saying there was to be "no more weird architecture." He went on to say that the current climate displayed "a lack of cultural confidence and some city officials’ distorted attitudes about political achievements," though only now does action appear to be being taken. According to a translation by the Wall Street Journal Blog, Yang Baojun, vice director of the China Academy of Urban Planning and Design (CAUPA), commented on the directive, saying that "the document is a wake-up call for those places where [there has been] a one-sided pursuit of architectural form over function, where cultural orientation has been compromised by an excessive desire to show off." The New York Times meanwhile reports that experts have warned of "stricter design standards for public buildings." It also added that, an online forum for the Communist Party newspaper, People's Daily, predicted that "in the future it is unlikely that Beijing will have other strangely shaped buildings like the ‘Giant Trousers’ " referring to the China Central Television Headquarters (CCTV) by OMA. Feng Guochuan, an architect based in Shenzhen spoke about how the President Xi's words had already begun to have an impact on decision making regarding new projects. He was also worried that Xi was meddling with matters that should only concern urban planners, and not the President. "Generally speaking, local governments now tend to approve more conservative designs," he said. However, Wang Kai, vice president of CAUPA, said these stricture design guidelines would mainly be applied to public schemes, while private projects would still have freedom. "For private housing or commercial projects, there is still space for innovation." Mr. Wang also added that "we shouldn’t go overboard in pursuit of appearances," going on to say how functionality should be the main concern in public buildings. 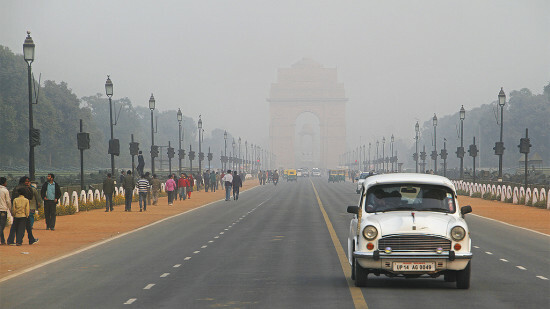 New Delhi has taken emergency measures to deal with the particularly thick and noxious air that has covered India’s capital city this winter. For the first two weeks of the New Year, the city has enacted an odd-even rule, which stipulates that even-numbered license plates be allowed on the roads only on even-numbered dates, and odd-numbered license plates only on odd-numbered dates. Because the trial intervention applies to private automobile vehicles exclusively, it has been criticized for its many loopholes. High level government officials, including India’s prime minister, chief justice, and state governors are exempt from the ban, as well as female drivers not accompanied by a male over 12 years old, and motorcycles, which are said to account for a third of emissions from vehicles. Buses, taxis, and rickshaws are also exempt. Along with the two-week plan, the government announced that it would provide 3,000 extra buses to handle the expected increase in demand. Drivers caught violating the new policy could be fined up to 2,000 rupees, or $30. The odd-even initiative follows a temporary ban on the registration of diesel cars with a capacity of 2,000 cubic centimeters ordered by the Supreme Court of India in December. The Court also set a time frame for all taxis to switch to compressed natural gas, which is generally less harmful to the environment. According to the World Health Organization, New Delhi has the most polluted air of the nearly 1,600 cities around the world that it surveyed. The new measures are testament to the pressing needs to combat pollution, and follow the historic climate talks in Paris in December that committed nearly every country to lowering planet-warming greenhouse gas emissions. Meanwhile, in Milan, air pollution has reached a record high, and cars and motorcycles were banned from city streets for 6 hours a day for three days during the first week of January. Rome also restricted traffic, enacting its own version of the odd-even rule this past week. The initiatives in Milan and Rome come at a time when European cities are beginning to aggressively scale back on the use of automobiles. Milan has proclaimed an incremental approach to expel cars from the city center. In Paris, motorists are to be completely barred from the River Seine by the summer of 2016, and all non-electric or hybrid vehicles are to be purged from Paris streets by 2020. Similar efforts have been endorsed in Madrid, Brussels, and Dublin. This month, the London School of Economics (LSE) hosted its 10th annual UrbanCities debates, a forum where world leaders in the field of urbanism come together to discuss their views on the subject and its relative disciplines (mainly architecture). This year AN caught up with Design Museum curator Deyan Sujic, Norman Foster, and Chilean architect Alejandro Aravena, among others for the debate. "Eighty percent of a country's total GDP is generated from urban areas," Joan Clos, executive director of Un-Habitat, said at the conference. With this, he argued that "transaction costs can be reduced by the availability of labor," supposing the labor supply is within the vicinity of the production area. For this to happen, though, urban planners must focus on the "human scale," focusing their attention on streets, not roads. 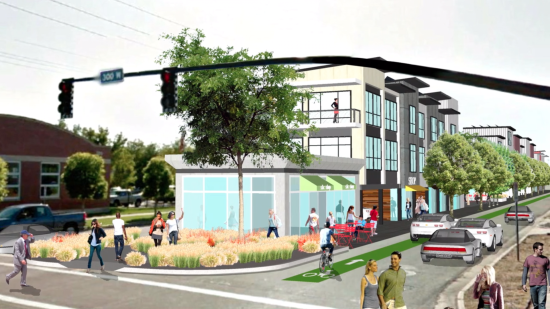 "Thirty to 35 percent of urban environments are made up of streets, " Clos added. Streets, density, and pedestrianisation would be dominant themes for the debates. Norman Foster continued that theme, clearly setting a hierarchy in the built environment. 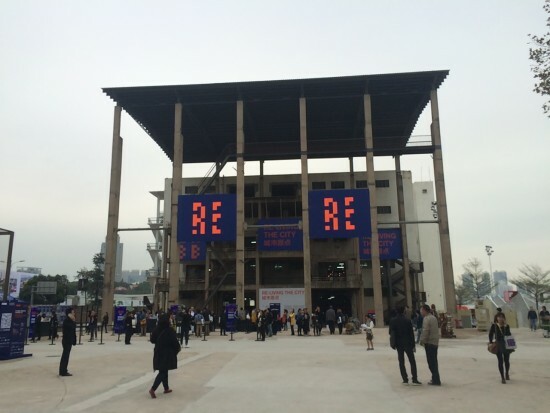 "Beyond architecture, infrastructure is more important," he said. In his talk, Foster seemed to be both acknowledging his role as an architectural figurehead, but also at how his work may be seemingly powerless to solve the urban problems faced today. "The quality of infrastructure determines the quality of our lives," he added, and "infrastructure is inseparable from economic prosperity." "I have no power as an architect, none whatsoever," lamented Foster in a recent interview with the Guardian. He noted that government policy has a much bigger impact on the shape of the built environment than being an architect does. Citing the population density of the South London suburb of Southwark, Foster said how in 80 years, the density has in fact decreased from 20,550 people/km2 in 1901 to 2,232 people/km2 in 1981. Foster, building on Clos's remarks, emphasized the importance of density, with its connection to energy consumption. 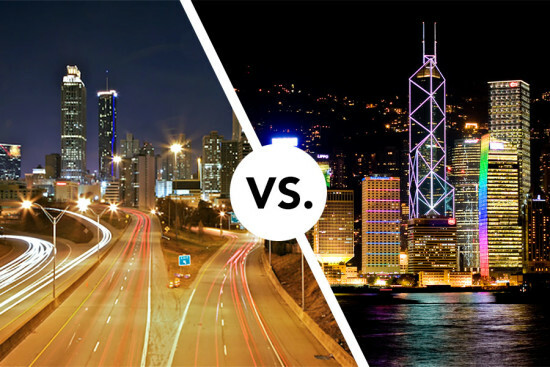 Using Atlanta as a tragic example of failure in this respect, he compared the sprawling U.S. city to its opposite extreme, Hong Kong, in how much the two cities differ in almost every aspect. As demonstrated in Atlanta, high density and energy consumption are negatively correlated. Needless energy is wasted in simply moving around, such as getting to work, bringing the previous conversation about proximity—or lack thereof—of the labor supply full circle. Foster clarified this need for density with a call for better public space to offset potential overcrowding. He cited the classic example from New York, saying that "Central Park [is] probably the only park built for the social good." Foster contrasted Olmsted's green space to London's parks that are just old royal hunting grounds, not actual spaces constructed on behalf of the public. Aravena was also complimentary of New York, claiming that "Manhattan is the most productive piece of of urbanism in the world." 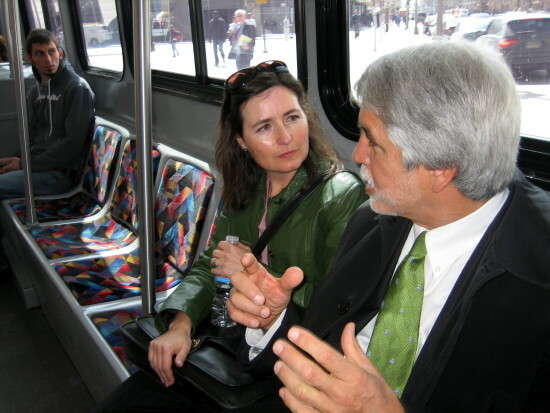 LSE Professor Ricky Burdett pointed to the flexibility of New York's built environment. "Places in NYC designed for one thing are now used for another," he said, illustrating how diverse and adaptive the city's architecture and infrastructure had become. Manhattan, bound by its physical geography, had to change over time to stay relevant. Aravena added how restraints in design can be beneficial to the process, particularly with urbanism, citing how Philadelphia was literally planned overnight by William Penn. "Time, for urbanisation, is a good restraint," Aravena said, adding that the influx of migrants into European cities could be "windows of opportunity," opening up scenarios similar to when Penn had to plan a city in very little time. Going back to Atlanta, Foster again tackled the infrastructure problem, touting High Speed Rail as an urban palliative that can take on functional and aesthetic roles as well as be used as a tourist destination. Concluding the talk, Joan Clos lamented how a "loss of identity, down to unrestricted development," where developers have too much space and so many material construction methods that have come at the cost of indigenous ones. In doing so, he posed the question: Does globalization mean the demise of the vernacular? The answer continues to play out across the globe.